This week’s post is by Manuel Perez, a web developer working in our web division at IT Impact, Inc. Manuel has been experimenting with Amazon’s EC2 cloud service and I asked him to document how to get started on the service, and pave the way for our readers to start experimenting with their own cloud servers. As you may already know, our firm specializes in creating Access apps where all of the data is stored in the cloud. It’s a great combination that’s robust and quick, but not necessarily easy to configure or optimize. What you may not know is that we also have a web division that creates pure web apps using .NET, Silverlight and even PHP. Which technology we use will depend on the application design and the preferences and needs of our clients. 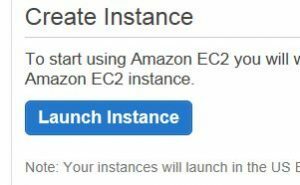 As part of our continuing efforts to leverage the latest technology, I’ve been setting up virtual servers using Amazon’s free EC2 tier and I wanted to document the process to help others get started successfully with the wonderful offering from Amazon. 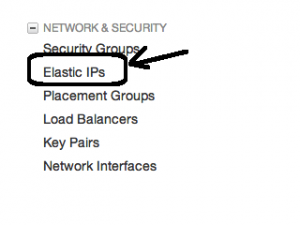 You can create a micro instance of a server in the cloud. This is a great way to do experiments, setting up labs, or even to host small applications for clients. Amazon allows you to run the first instance free for as long as you need with 24/7 availability and will charge for 2nd instance and so on.. You can pick either Linux with MySQL server or Windows Server with SQL Server with up to 20 GB of space. Many of you will instantly recognize that is WAY more than what typical Access databases will ever need, making it a great test bed or even a permanent solution for a single application. On the next screen you can pick either Linux or a preconfigured Windows Server 2008R2 with SQL Server Express and IIS and 35 GB of hard drive space. You will need to create Key Pairs in the next screen. Please download and put them in safe place to prevent unauthorized access. You are ready to launch your instance! Click on Allocate IP address and you are done. Click on Users on the left menu. If needed, create an Admin group with permissions to your console. Now that you’ve created the account you will need to supply a password so that the user can login to the console, to do so, click on the user and at the bottom of the screen select security credentials tab and proceed to assign a password. Another alternative to using a web server is to have Amazon host your .NET or PHP app for you, it’s called Elastic Beanstalk and we are using it for a new startup idea coming soon. I hope to write about this service soon in a future post. I’m lost. I gave this a try and I think I created something (I think). Not sure how to get at and use what I created. Tried going through the help but that got me even more confused. How do we know if we’ll be charged, and how much? Are we warned when we start incurring charges? Or do the facilities you mention not incur charges? how to setup a sql database in aws ec2? windows base. Can you briefly discuss the advantages and disadvantages of these technologies please? 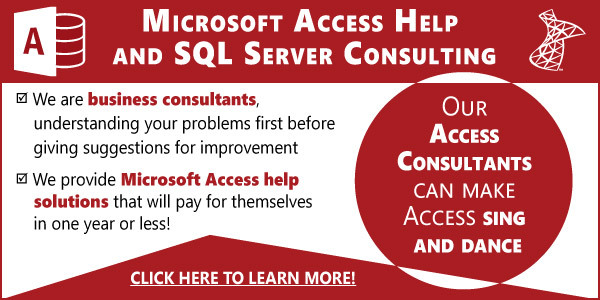 I thought you prefer Access and Sql Server, so when are these alternatives better?